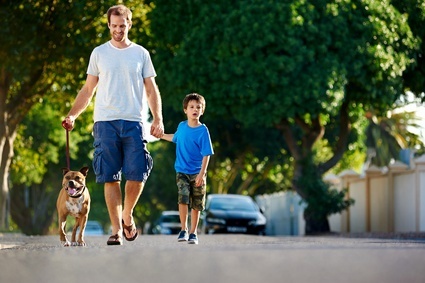 Approximately 5,000 dog bites are recorded each year in Ontario and occur more often to children. As children are smaller, the neck and facial area, especially the lips, nose and cheek, are the most common areas for them to be bitten. Teach your child to always allow a dog to have its personal boundaries. A dog will also bite if it interprets a movement, such as invasion of its territory, as a hostile action.